Modern curved profile aluminium trim with straight-through fixings. Strong acrylic front secured with a top lock - supplied with 2 keys. Front lowers down fully when unlocked making document changing easy and safe. 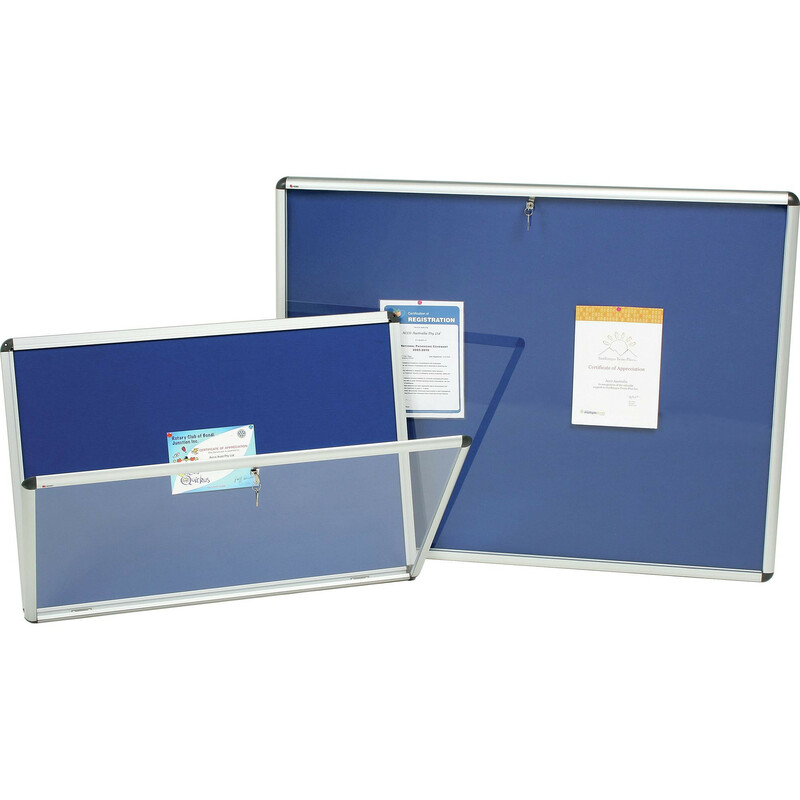 Ideal for use in offices, industrial or sports environments. Surface accepts both pins and Velcro®.